The best time to start planning for retirement is many years before you expect to retire. the value increases, so does the interest and additional value you’ll receive. monthly benefit you’ll receive. If you’re in good health and expect to live many years, you may want to wait until age 69 or 70 to start collecting benefits, because the difference can be substantial. The amount of your benefit depends on how much you’ve paid into Social Security, when you plan to retire, and other factors. You can obtain a free estimate of the benefits you can expect at any time by visiting http://www.ssa.gov/myaccount/. before you want to start receiving your benefits. The easiest way to apply is to visit www. to provide as part of your application. personal needs and how you plan to spend your retirement years. If you enjoy dining out at nice restaurants and want to see the world, you’ll need more income than someone who prefers to stay around the house. these days, and if you’re healthy, you could easily live 20 or more years after you retire. some money in more aggressive investments that have a better growth rate. (individual retirement accounts), or a 401(k) or 403(b) retirement plan, it will be up to you to determine how much you’ll withdraw each month, and to make sure you pay any taxes that are due. withdrawals (as long as the money has been in the IRA for at least five years). If you make IRA withdrawals before age 59 1/2, you’ll also have to pay a 10 percent tax penalty (there are exceptions for certain types of withdrawals, such as for medical needs). You aren’t required to start withdrawing money from your IRA until you reach 70 1/2. Similar rules apply to 401(k) and 403(b) retirement plans. Another important element of retirement planning is thinking about what will happen to what you own after you die. Many people who have worked hard have built up assets that they’d like to pass on to their children and grandchildren, or to organizations and causes that are important to them. (or inter vivos) trust can help you pass your assets along to your loved ones with minimal hassles and tax liabilities. Other estate planning strategies can offer ways to let loved ones or favorite charities earn income from your assets while you’re still alive, and then pass them along to your heirs upon your death. These strategies can be complex, so it’s a good idea to consult with estate planning professionals. location to connect you with them! shift to volunteer activities that are important to them. to keep in mind. The first is that many retirees encounter health issues that interfere with their plans to stay active. In fact, nearly one in three retirees in a recent national survey reported that they were forced to stop working earlier than they expected because of health problems. The other point is that if you’re under the full retirement age and receiving Social Security benefits, and your employment income is more than $17,040 for the year (in 2018), your Social Security benefits will be reduced. So if you plan to keep working after you start receiving Social Security, plan carefully to make sure you don’t lose too much income. As you enter your senior years, you’ll have to think about where you’ll live, and how you’ll meet your daily needs. Many seniors hope to stay in the current homes, which is known as aging in place. As long as they remain in good health and can get around the home, that may be an option. But if the home has stairs or other issues that may interfere with mobility, they may want to reconsider. longer want to cook every day, and activities to encourage socializing. skilled nursing homes and special facilities for those with dementia. housing options will help you stay in control of your life. help with the cost of nursing home care, as well as in-home nurses and physical therapy. not unusual to hear recent retirees marvel at how busy they’ve become. retirees, you need to take care of your physical and emotional health. A healthy diet is just as important in your senior years as it was when you were younger. Proper nutrition keeps the body working and the brain functioning, and the right diet can reduce your chances of heart problems, high blood pressure, cancer, and possibly even dementia. If you’re taking medications, be sure that nothing in your diet is interfering with them. mental well-being. While you may not be up for a vigorous daily workout, basic stretching and simple exercises such as walking and swimming will help you keep your joints flexible and your bones and muscles strong. Many communities have special exercise programs designed for seniors, which also give you the opportunity to spend time with others. Use this time to take up a hobby, travel, or participate in activities. Some seniors take college classes — not because they have to for work, but because they’re curious about the world around them. There are special educational programs for seniors. One of them, Elderhostel, offers classes all over the world for people 55 and over. that help the less fortunate. If you’re not sure what place is right for you, visit www. volunteermatch.org, a website that matches opportunities to your interests. of Parts A and B. Finally, Medicare Part D is optional coverage for prescription drugs. retired, there are plenty of resources that can help. We’ve included several here. A free app that can help you set and track financial goals. 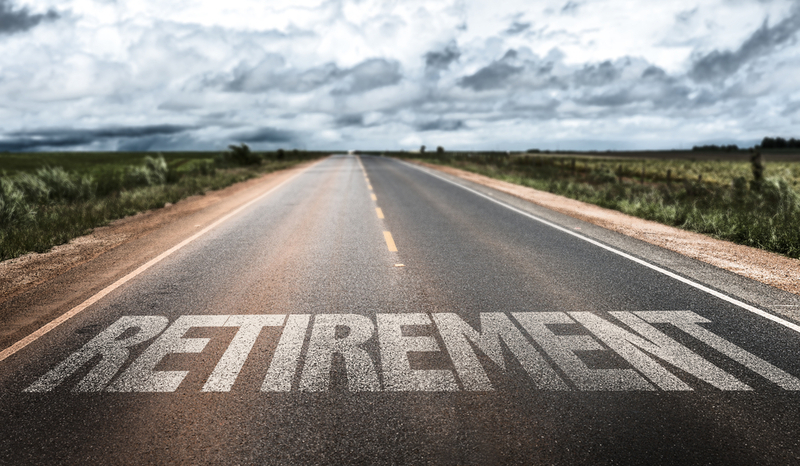 Want to know how close retirement is for you? Calculators to help you make key decisions. Investment tracking, with Nest Egg and Retirement Income calculators. All sorts of useful information for seniors. Articles about and strategies for retirement planning. Hoping to keep working? You’ll find good information here. Get answers to your questions about Social Security and Medicare. with any legal and tax related questions. contract with the financial institution to make securities available to members. a deposit of any financial institution. CUNA Brokerage Services, Inc., is a registered broker/dealer in all fifty states of the United States of America.